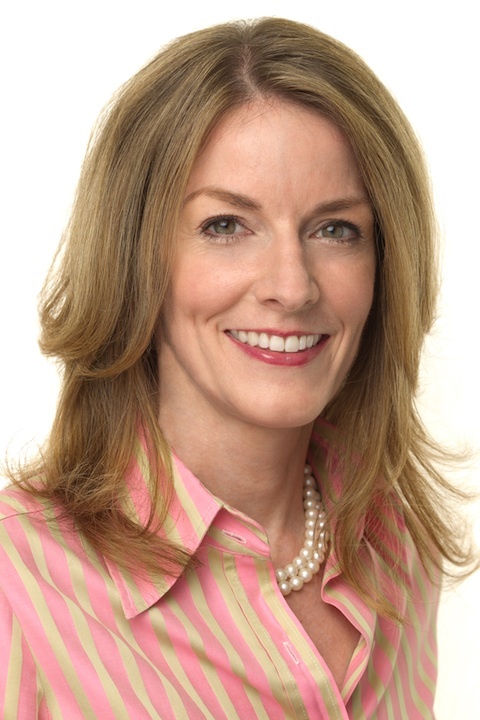 Christy Bonner '98 has over twelve years of experience in Intellectual Property licensing and currently serves as the Director of Client Relations for RPX, a company dedicated to reducing wasteful patent litigation through the acquistion of high risk patents and patent rights. Christy is a dedicated alumni volunteer who serves as a mentor to current IP students and as a member of the IIT Chicago-Kent Bay Area IP Advisory Board. Christy recently attended the 125th Anniversary Gala and will be hosting a gathering for San Francisco area alumni of IIT Chicago-Kent at her home on Thursday, May 16. 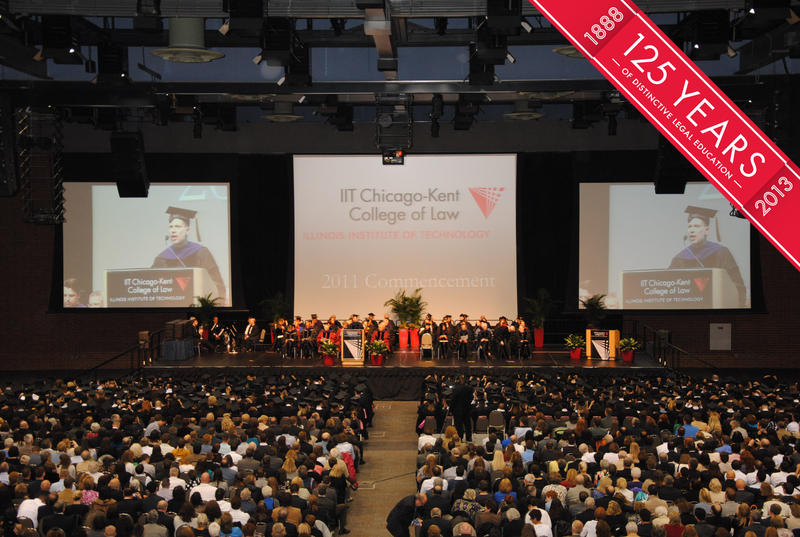 In less than two weeks, the Class of 2013 will join our alumni community at the 2013 Chicago-Kent Commencement. Despite the challenges our students will face as they enter the legal industry, I am confident the training they received at Chicago-Kent will enable them to excel. My colleague Richard Gonzalez, Clinical Professor of Law at Chicago-Kent, recently shared an anecdote with me that buoyed my hope for our graduates. While arguing a complicated civil procedure question in Federal Court, Professor Gonzalez handed the presiding judge a brief written by one of his students. After discovering that a student had written the brief, the judge called her to the front of the courtroom, praised her outstanding work, and told his staff to find a job for her this May. On May 19, we will award 281 J.D. degrees and 106 LL.M degrees to the Class of 2013. Two students who reflect the diverse and accomplished nature of their class will deliver the student addresses. Valedictorian Luke Harriman will deliver the J.D. 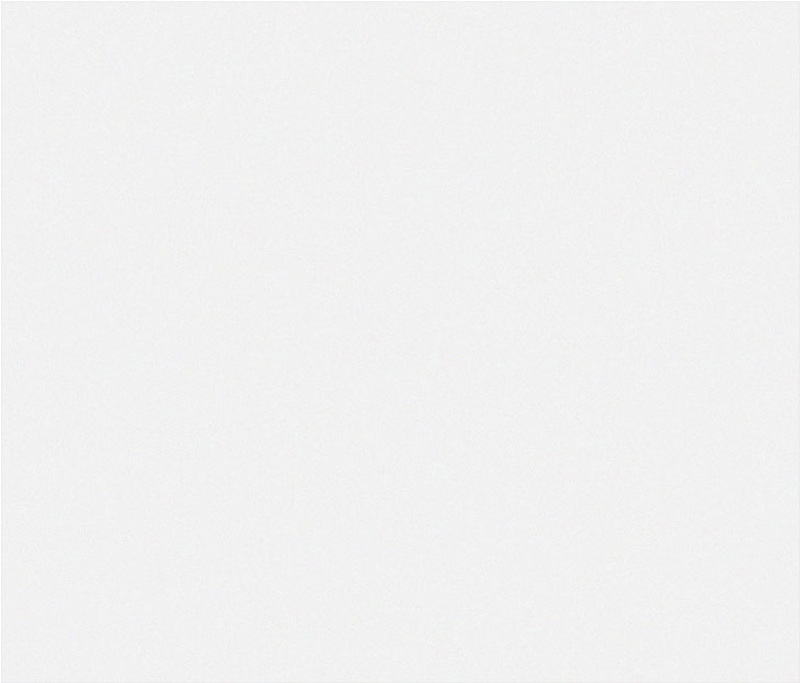 commencement address, and Jingjing Huang, a candidate for an LL.M. in International Intellectual Property Law, will deliver the graduate address. I am honored to welcome attorney and best-selling author Scott Turow as our keynote speaker. Seven alumni will also participate in the ceremony as alumni "hooders," conferring the JD hood on a family member during the ceremony. This tradition is symbolic of the strength of the Chicago-Kent alumni community and a testament to the support these students have received from family and friends throughout their law school career. I invite you to follow along with the day's activities online—whether through the live webcast of the ceremony, or with photos and posts on Facebook and Twitter throughout the day. All will be available on May 19 at www.kentlaw.iit.edu/commencement. Please join me in congratulating the Class of 2013 and welcoming them to the alumni community. 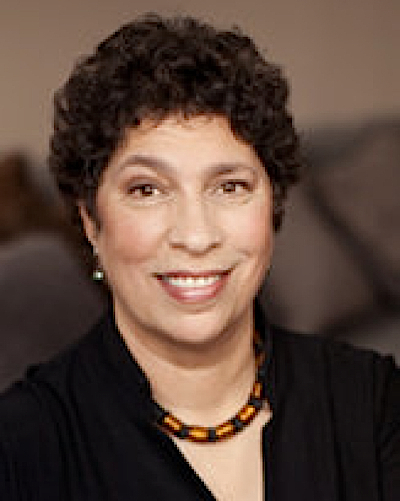 On April 11, national American Civil Liberties Union President and 2012 Roy C. Palmer Civil Liberties Prize Receipient Susan Herman visited Chicago-Kent to deliver a lecture entitled "Taking Liberties: The War on Terror and the Erosion of American Democracy." A video of the lecture is available on our Youtube channel. Oyez Project Founder Interviewed on NPR's "All Things Considered"
Oyez Project founder and director Jerry Goldman was featured on National Public Radio's "All Things Considered" program last month in the wake of the Supreme Court's contentious debates on gay marriage, affirmative action and the Voting Rights Act. Goldman discussed the importance of the Oyez Project's work to archive the Court's audio recordings, some of which date back to 1955. Listen to the full interview here. This month the Chicago-Kent faculty launched the new IIT Chicago-Kent Faculty Blog. The site will feature regular updates on faculty scholarship, commentary and news. We invite you to subscribe via email and follow @CKFacultyBlog on Twitter. The Kent Justice Foundation held its annual auction on April 11. This year's auction raised more than $21,000 and is the third most successful auction in the group's history. The money raised at this year's auction will provide fellowships for ten deserving students who choose to undertake summer internships in unpaid public interest positions. Starting in April, Chicago-Kent will offer a new bike sharing program. Thanks to the generosity of one alumnus, four bikes are now available for rent at a discounted rate. Staff, faculty and students will now be able to enjoy the summer sunshine on two wheels. The Oyez Project leverages information technology to make materials related to the Supreme Court instantly accessible around the world. In February, the Project released ISCOTUSnow, a free app for Iphone, Ipad and Android devices, giving users easy and interactive multimedia access to the Court's work. Download ISCOTUSnow for full access to the Oyez Project materials. This fall, we will conclude our year-long 125th anniversary celebration by recognizing 125 Alumni of Distinction. We are currently accepting nominations for alumni who have been trailblazers, innovators or otherwise outstanding examples of what graduates of Chicago-Kent can achieve. We invite you to nominate a classmate, colleague or alumni mentor today: www.alumni.kentlaw.edu/125nomination. Nominations will be accepted until May 31, 2013. We are currently seeking class correspondents for the following classes: 1970, 1974, 1975, 1982, 1986, 1988, 1992 and 2012. Class correspondents are responsible for reaching out to classmates once a year to collect class notes for the publication in the alumni magazine. If your class is listed above and you would like to serve as the class correspondent, please email alums@kentlaw.iit.edu or call (312) 906-5240. Sunday, May 19, 2013 | 2:30 p.m.
Thursday, June 6, 2013 | 6:00-8:00 p.m.
Saturday, June 8, 2013 | 9:00-11:00 a.m.
Tuesday, June 11, 2013 | 5:30 p.m.
IIT Chicago-Kent Irish American Law Student Association Presents "Dining In"
Wednesday, June 12, 2013 | 6:30 p.m.
Tuesday, June 15, 2013 | 5:00-7:00 p.m.
Wednesday, May 15, 2013 | 6:00-8:00 p.m.
Thursday, May 16, 2013 | 6:00-8:00 p.m.
Thursday, May 23, 2013 | 3:30-5:35 p.m.
Thursday, June 20, 2013 | 3:30 - 5:35 p.m.
June 27-28, 2013 | 2:00-5:00 p.m. 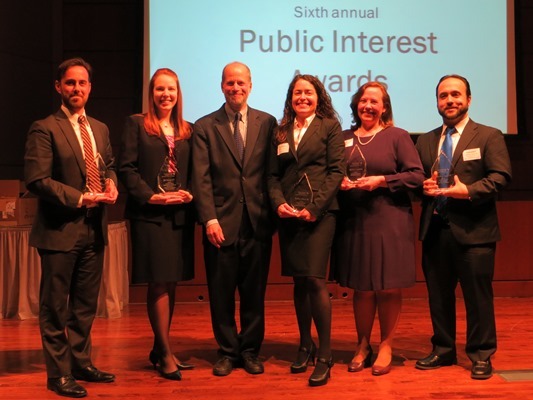 The 2013 Public Interest Award receipients received their awards at the 6th Annual Public Interest Awards on April 25. Alumni Jonathan Rhodes '09 and Jill Roberts '08 received the Honorable Abraham Lincoln Marovitz awards and Salvador Lopez '09 and Kathleen Robson '10 received the Outstanding Pro Bono Service honors. The Public Interest Partner award went to CARPLS in recognition of the important opportunities the organization provides to Chicago-Kent students and graduates.